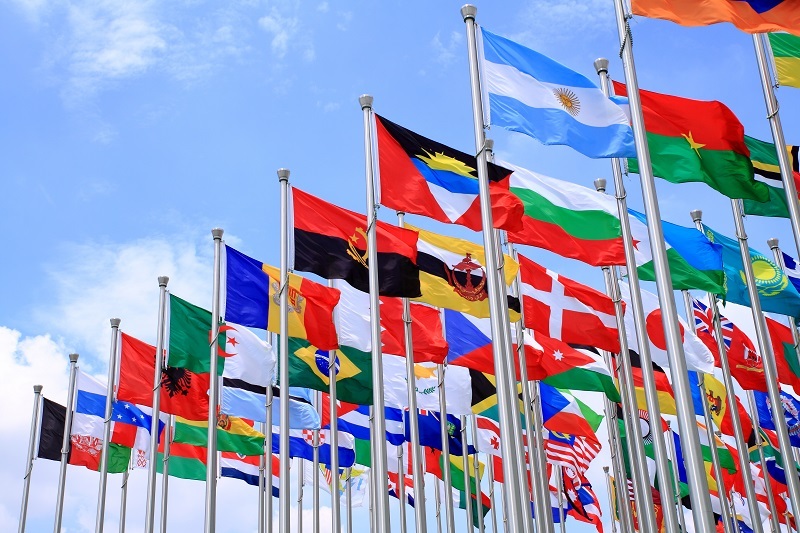 On September 11, the IRS announced a new campaign to closely examine whether individuals working at international organizations (I/O) are fully and properly calculating their taxes. The announcement was a surprise and was made at the same time as the announcements for several other unrelated campaigns. The IRS announcement suggests that, on their recent tax returns, many I/O employees may not have correctly reported compensation, paid adequate income and Social Security taxes, or fully reported their foreign assets. In addition, they may have claimed erroneous deductions and credits. As a result, the IRS intends to dedicate additional scrutiny and resources to this matter, including conducting audits of I/O employees’ returns. Approximately 10 years ago, the IRS identified I/O employees as a population at high risk for having errors and improper reporting on their tax returns. Since I/O employees are not subject to regular tax withholding or payment of Social Security taxes (and G-4 visa holders working for I/Os are not taxable on certain income), their tax return reporting is slightly odd and can be prone to errors unless prepared by a preparer or CPA who is well-versed in I/O taxation. Beginning in 2007, the IRS spent approximately 2 years focused on I/O employees, speaking to I/O audiences and auditing the tax returns of I/O employees, to boost compliance. The IRS can easily obtain the names and contact information for I/O employees. This information is readily available from the State Department. As such, we expect the IRS will draw on this information as it determines which taxpayers to audit during this campaign. In addition, we expect that the IRS will undertake a variety of educational efforts to promote compliance. During the last campaign, the IRS sent agents to speak to groups of I/O employees, to explain what the auditors were looking for, point out common mistakes made on I/O employee tax returns, and recommend that employees amend their returns sooner rather than later to correct any issues. What will the IRS be looking for? There are a number of common mistakes that I/O employees make on their tax returns. U.S. citizen employees of I/Os who are working in the U.S. must pay self-employment tax (Social Security tax), because I/Os are not liable for the withholding of U.S. Social Security tax. The self-employment tax must be calculated on the tax return each year. Although U.S. citizen employees must pay self-employment tax for I/O work performed in the U.S., they are not considered self-employed for any other purpose. Therefore, they are not allowed to claim self-employment deductions for business expenses or pension contributions against their I/O income. G-4 visa holder employees of I/Os are not allowed to file a joint income tax return with their spouse, unless that spouse is a U.S. person and a special election is made to file the joint return. If the election is not made, the joint return is invalid. If G-4 visa holders are physically present in the U.S. for 183 days during the tax year, they are taxable on their worldwide capital gains and must report them on their nonresident tax returns as U.S. taxable income. U.S. citizen and green card holder employees of I/Os (and G-4 visa holders who have made the proper election to file jointly with their spouse) often have foreign financial assets or receive income from foreign sources. All foreign assets and foreign income must be reported on a U.S. resident return. Form 8938 – Used to report foreign financial assets (e.g., foreign bank accounts, certain foreign pensions, ownership in certain entities, etc.) if the total value exceeds certain thresholds. Some I/O employee pensions must also be reported on this form, even if the employee is not currently taking distributions. Form 3520 – Used to a large inheritance or gift from a foreign person. It is also used to report ownership of, or distributions from, a foreign trust and certain foreign retirement accounts. What can you do to prepare for the IRS crackdown? If you are already a Wolf Group client, you are in good shape. You can rest assured that we consider these issues in the preparation of our clients’ tax returns. If you are not already a Wolf Group client, we suggest that you review your returns for some of the common mistakes we mention above. Please keep in mind that using do-it-yourself tax preparation software or engaging a CPA is not a guarantee that your returns will have been prepared correctly. Furthermore, you may be missing elections and options available to I/O employees that will help reduce your tax (although the IRS is unlikely to point these out to you). If you are concerned that your returns may be incorrect, please contact us at info@thewolfgroup.com or +1.703.502.9500, and we would be happy to assist you.